Oval-shaped cushion paddle brush. 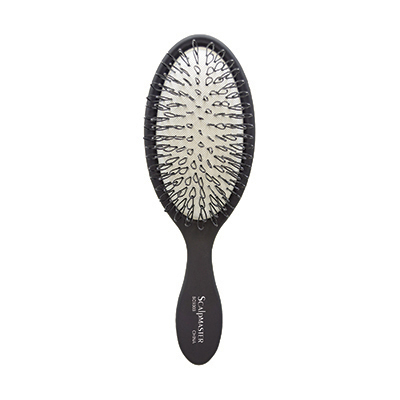 Specially designed nylon loop bristles glide through hair for gentle brushing without pulling or tangling. Perfect for preserving the quality of wigs, extensions, and hair pieces.